Thanks to its built-in hard water treatment system, the tub makes water a lot gentler on your skin, clothes, and the whole spa system. The heating system adjusts to your personal preferences. Using a convenient control panel, you'll be able to customise every aspect of this already relaxing experience to make it even more relaxing. The instruction manual is lacking in content. Octagonal Pure Spa is easily the best tub on this list. For the most part, because it is one of the very few inflatable models that's able to compete with permanent hot tubs on just about every front. Powerful, durable, and relaxing, this is the tub to go for. Using a wired controller, you'll be able to utilise its myriad of useful settings. 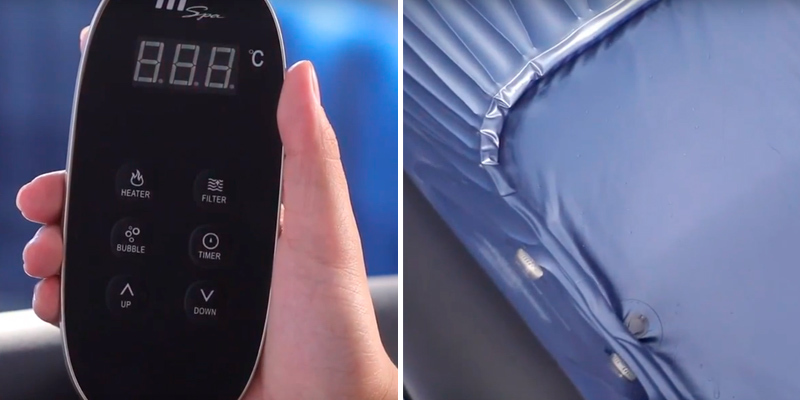 You can make the spa self inflate, adjust the temperature, turn the bubbles on and off, and set a heating timer. Incorporating an advanced 4-hour auto filtration function, the model utilises arguably the most efficient filtration system around. The cover may start leaking under heavy rain. MSPA D-TE06 Tekapo is one of the most well-balanced options on the market today. It gives you plenty of settings to play with. The air jets are no joke. The construction is a lot more practical, effective, and tough than people have come to expect out of inflatable hot tubs. An energy saving timer controls the temperature and doesn't waste energy unnecessarily, so you spend less money on electricity bills. Fitted with 48 sturdy vertical I-beams and puncture-resistant rayon-coated outer walls, the whole thing is able to resist the wear and tear of time, as well as an occasional hit, quite well. Takes some time to heat up. 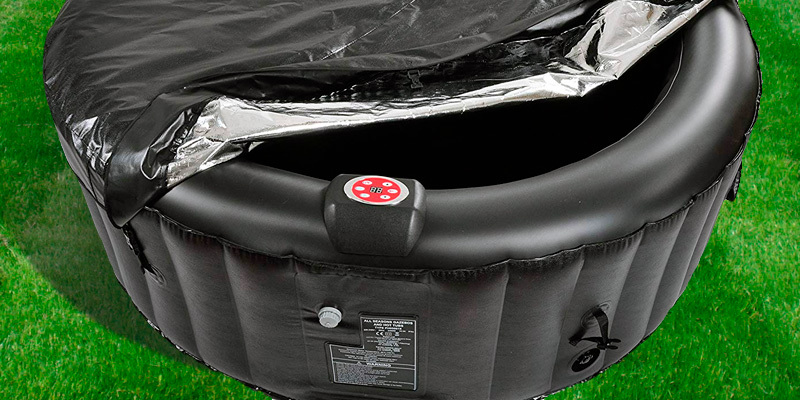 Lay-Z-Spa 54123 is as smart of a long-term investment as inflatable hot tubs get. Though the price is modest, some of the tub's features are anything but. Equipped with a reinforced cover, it keeps the unwanted debris out of the water. The control panel is straightforward and functional. The aluminium foil helps with heat insulation. The colour scheme that offers nothing but black on the inside and outside makes the product a really stylish addition to just about any garden. The Smart Heating technology turns off the moment the temperature reaches the desired setting and turns back on when it drops 2 degrees below that. The whole thing is quite large, so it takes a while to fill it with water. 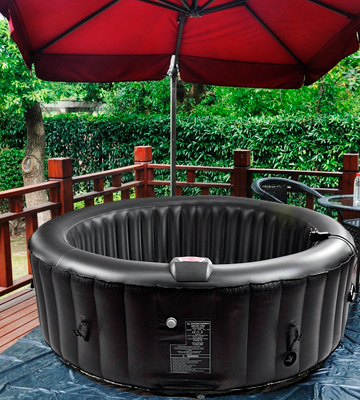 This inflatable hot tub from AllSeasonsGazebos has something for everyone. People who like to throw intimate hot tub parties will appreciate the size and the spaciousness that comes with it. Those who look for the most powerful spa experience will be satisfied with 130 air jets. Using an improved rapid heating system that heats the water and blows air at the same time, you're able to top up the tub without stopping the spa session. The soft cushioning interior makes you feel particularly comfortable. The product comes supplied with a nice little beverage table. A little difficult in maintenance. 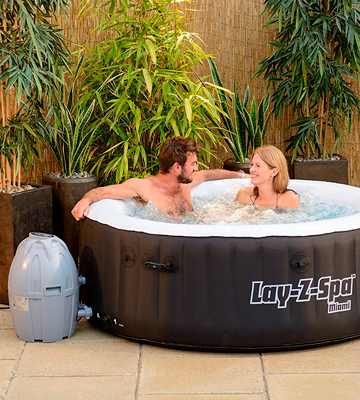 Lay-Z-Spa BW54156 isn't one of those inflatable hot tubs that are suitable for hot tub parties. No, this model provides you with the opportunity to create a much more intimate atmosphere. As far as we're concerned, it is the perfect spa for any couple looking to unwind and enjoy each other's company. Inflatable models seldom pack the same firepower as permanent hot tubs. But Intex Octagonal Pure Spa doesn't care about these run-of-the-mill models. 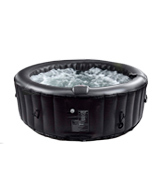 Equipped with 120 heated bubble jets, it emulates and even exceeds the performance of your ordinary stationary hot tub. Though it isn't just about the quantity and the power. Doesn't take a genius to pack a tub with a bunch of jets that mercilessly attack your skin. With this model, it is a little different. Using a built-in hard water treatment system, it makes water a lot gentler on your skin. The soothing experience that you'll get from it will make you feel all warm and fuzzy on the inside as well as outside. 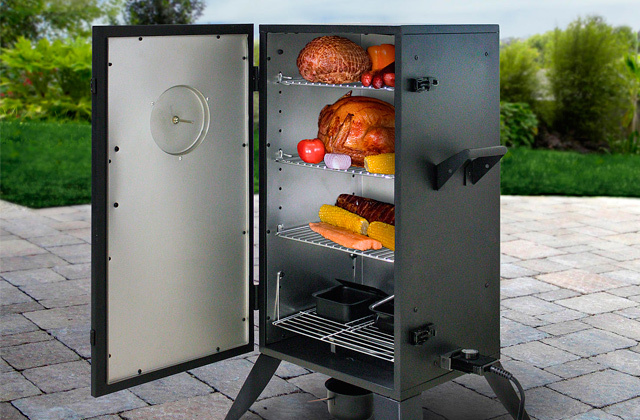 Plus, the heating system adjusts to your personal preferences. Using a convenient control panel, you'll be able to customise every aspect of this already relaxing experience to make it even more relaxing. Finally, one of the best things about Octagonal Pure Spa is its construction. Fiber-Tech, a material that consists of thousands of high-strength polyester fibres, makes this product almost as durable as a permanent tub. Plus, supplied with 2 easy-to-replace filter cartridges, the model is really easy to maintain. 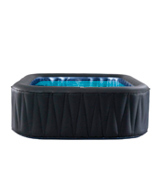 To sum it all up, Intex Octagonal Pure Spa is probably the best inflatable hot tub on this list. For the most part, because it is one of the very few inflatable models that's able to compete with permanent hot tubs on just about every front. Powerful, durable, and relaxing, this is the tub to go for. MSPA D-TE06 Tekapo is easily one of the more balanced models in this review. Armed with 132 dynamic air jets, the tub releases thousands of cushioning bubbles that massage your entire body. They heat the water up to 42 degrees Celcius, so you'll be able to unwind and relax without paying a spa parlour a visit. Of course, that point of 100% pure relaxation is different for different people. That won't be an issue with MSPA D-TE06. Using a wired controller, you'll be able to utilise its myriad of useful settings. You can make the spa self inflate, adjust the temperature, turn the bubbles on and off, and set a heating timer. Cleaning a hot tub can be a nightmare. But that's not the case with MSPA D-TE06 Tekapo. Incorporating an advanced 4-hour auto filtration function, the model utilises arguably the most efficient filtration system around. Made of Rhino-Tech 6-layer reinforced PVC, this inflatable hot tub is more durable than the absolute majority of its inflatable competition. On top of that, the model equips an adjustable safety buckle design. This thing makes it easier to connect the top lid to the ground mat. This way, you're effectively optimising heat preservation whilst heating up the tub. Again, MSPA D-TE06 Tekapo is one of the most well-balanced options on the market today. It gives you plenty of settings to play with. The air jets are no joke. The construction is a lot more practical, effective, and tough than people have come to expect out of inflatable hot tubs. 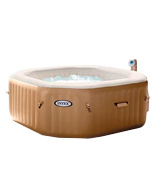 Lay-Z-Spa 54123 is, for the most part, that middle-of-the-road inflatable tub that fits everybody and nobody. With 669 litres of water capacity and an inflated size of 66 x 180 centimetres, the model can fit up to 4 individuals, though it does start to feel a little crowdy with more than 3 people in it. It may not be the powerhouse that the first couple of entries on this list are but it does have a thing or two going for it as well. For starters, the model's far more economical than the former two. Equipped with an energy saving timer, it controls the temperature and doesn't waste energy unnecessarily, so you end up spending less money on electricity bills. That said, it takes a while to heat up but not that much longer than your average inflatable hot tub. Again, it is by no means the most excellent product you've ever come across. 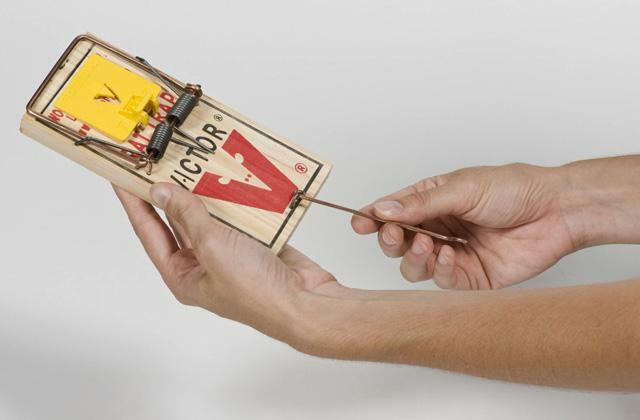 But, for such an affordable model, it is surprisingly sturdy. Fitted with 48 sturdy vertical I-beams and puncture-resistant rayon-coated outer walls, the whole thing is able to resist the wear and tear of time, as well as an occasional hit, quite well. Despite the superior structural stability and strength, the surface remains comfortable enough for that refreshing and invigorating spa experience. 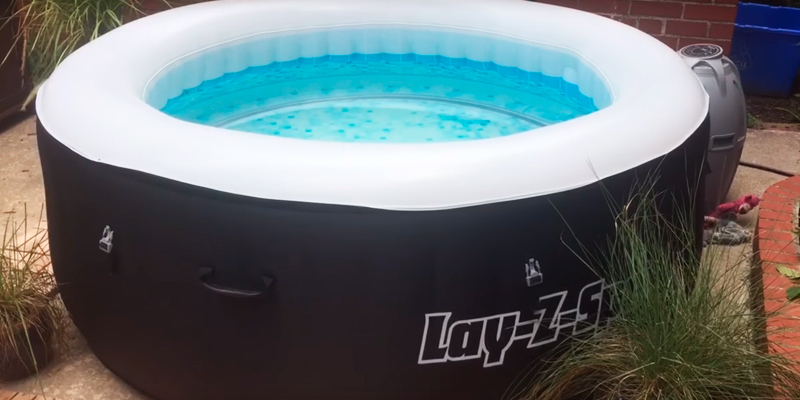 In short, Lay-Z-Spa 54123 is as smart of a long-term investment as inflatable hot tubs get. Though the price is modest, some of the tub's features are far from it. 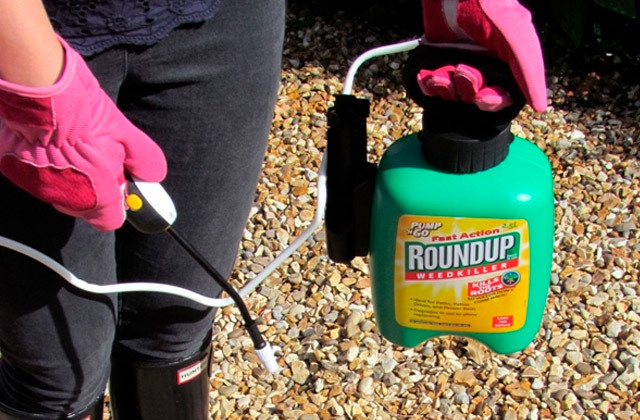 Equipped with a reinforced cover, it keeps the unwanted debris out of the water. The control panel is straightforward and functional. 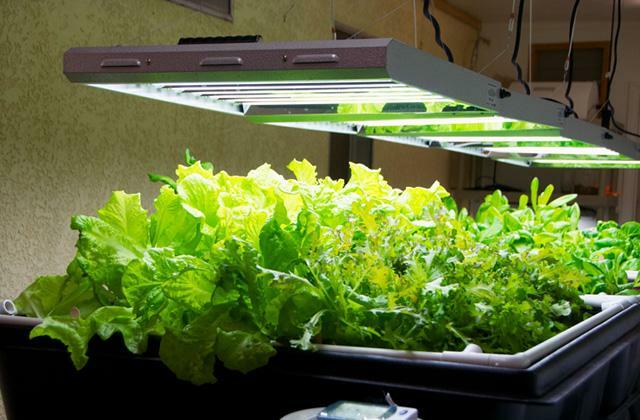 Plus, the size allows you to put it indoors or outdoors. We don't really care too much about hot tubs' appearance but, with this AllSeasonsGazebos model, we're inclined to make an exception. 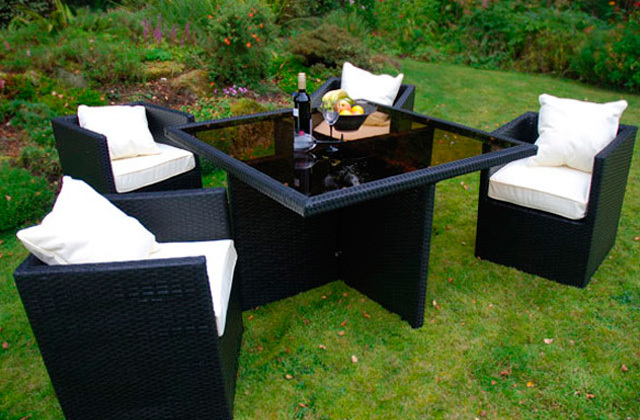 It isn't much but the colour scheme that offers nothing but black on the inside and outside make the product a really stylish addition to just about any garden. 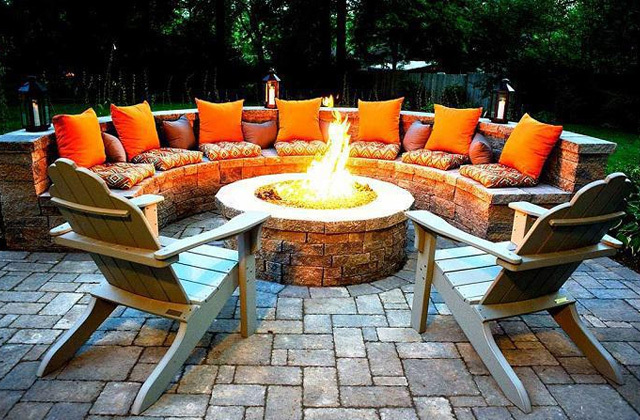 It looks imposing, which isn't a quality we generally look for in our garden furniture but, again, we're more willing to make an exception here. Plus, it's not like the model was designed with nothing but aesthetics in mind. 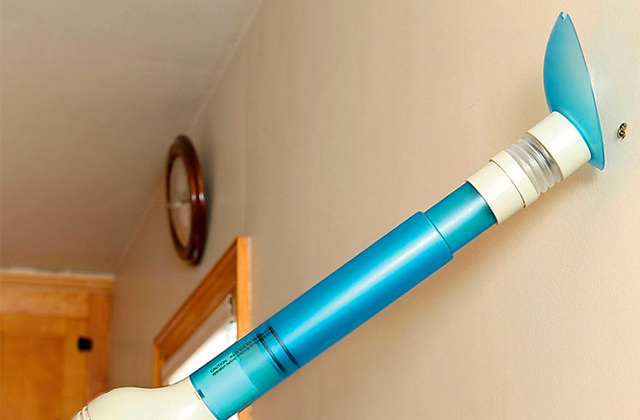 The laminated PVC cover is strong and sturdy in and of itself. Add to the cover aluminium foil and buckles and you have a robust and durable construction that should be able to last for years to come. 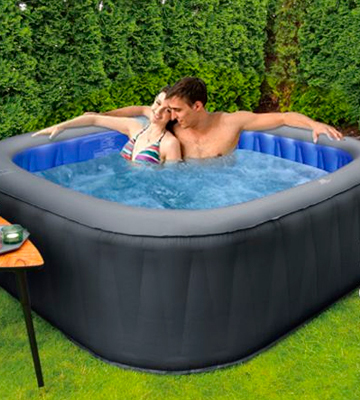 Some would argue that the biggest strength of this inflatable hot tub is just how large it is. Featuring 65 x 208 centimetres in overall dimensions and 1000 litres of water capacity, this thing is huge, able to host up to 6 individuals. Of course, the size carries with it the usual disadvantage - it takes a while to fill the whole thing up. But, for our taste, the most attractive and discerning part of this product is the Smart Heating technology. It turns the heater off the moment the water reaches the 40-degree Celcius temperature. 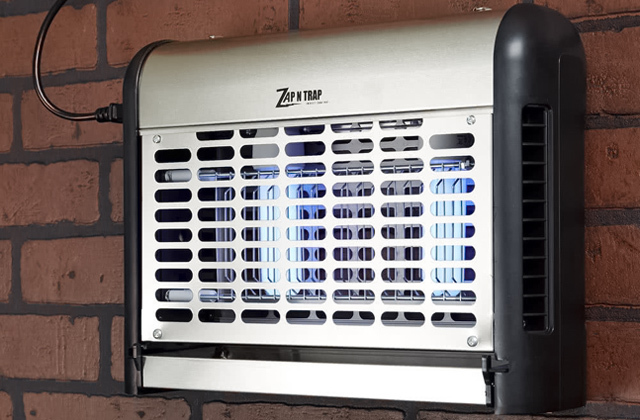 But, once it dips just a couple of degrees below the specified temperature, the technology automatically activates the heater and runs it until the desired temperature is back. 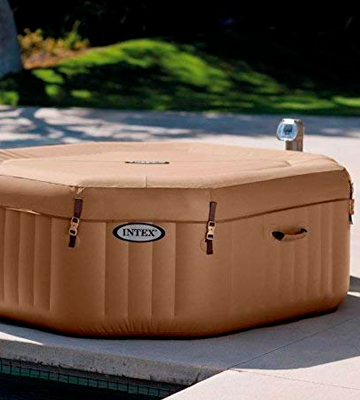 All things considered, this inflatable hot tub from AllSeasonsGazebos has something for everyone. People who like to throw intimate hot tub parties will appreciate the size and the spaciousness that comes with it. Those who look for the most powerful spa experience will be satisfied with 130 air jets. Don't care for hot tub parties? We get it. We aren't the biggest fans either. 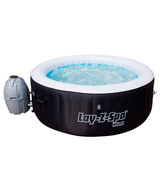 Lay-Z-Spa BW54156 was designed with the same ideas in mind. Its size, with 66 x 249 x 149 centimetres in overall dimensions, the form, and 509 litres of volume make the model a perfectly suitable option for one or two individuals to relax and unwind after a hard week at work. Of course, to some people, a small size is a downside. But what the hot tub lacks in size it more than makes up in other categories. 127 of all-surrounding air jets gently yet firmly expose you to the rejuvenating effect of the bubbles. Using an improved rapid heating system that heats the water and blows air at the same time, you're able to top up the tub without pausing the spa session. Made of 3-ply reinforced Tritech™ material, this thing is built to last. The soft cushioning interior makes your body comfortable, while the rugged exterior eases your mind. On top of the 3-ply construction, the model includes the so-called I-beams that provide the whole thing with the sturdiness necessary to retain the right shape regardless of how many times it is inflated or deflated. It's not just these huge details but the little things. In addition to everything that we've just mentioned and a few things that we've decided to gloss over, the product comes supplied with a beverage table. A big deal? Hardly. A nice touch? Definitely. It's always nice to have a little surface where you can rest your drink and fully immerse yourself in the experience. 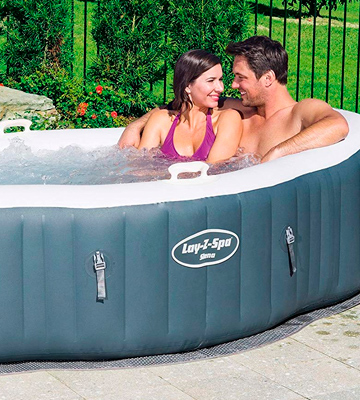 Bottom line, Lay-Z-Spa BW54156 isn't one of those inflatable hot tubs that are suitable for hot tub parties. No, this model provides you with the opportunity to create a much more intimate atmosphere. As far as we're concerned, it is the perfect spa for any couple looking to unwind and enjoy each other's company. The physical and emotional benefits of using a hot tub are numerous. From cardiovascular health improvement and a pain soothing effect to its ability to lower blood pressure and reduce overall stress, there's a lot you gain from it and not a whole lot you lose. They're great in all seasons but especially come winter. 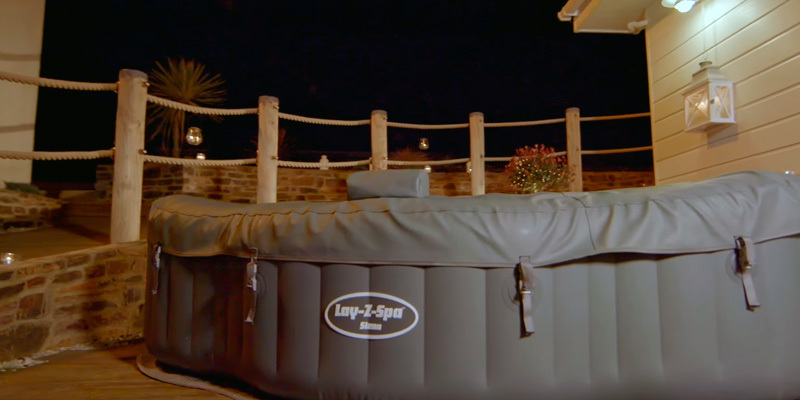 As far as we're concerned, the only issue with hot tubs is how much space they take and how difficult they are to maintain. 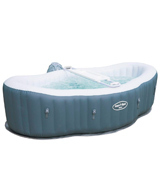 Enter inflatable hot tubs. As you'd imagine, these constructions give you all of the benefits of an ordinary hot tub but without most of the downsides. They're a lot more flexible. You can always deflate a tub like that and store it away. 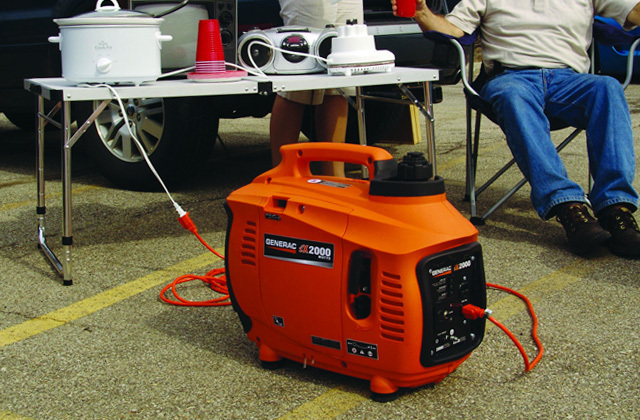 More often than not, their operating costs are drastically lower as inflatable models are able to run of a regular, 120-volt home electrical outlet. The aforementioned mobility advantage also means you can even take a hot tub like that with you on the road. Of course, they do have their disadvantages too. They aren't as durable and, more often than not, do not give you the same heating power. Nevertheless, we feel like the benefits far outweigh the downsides. 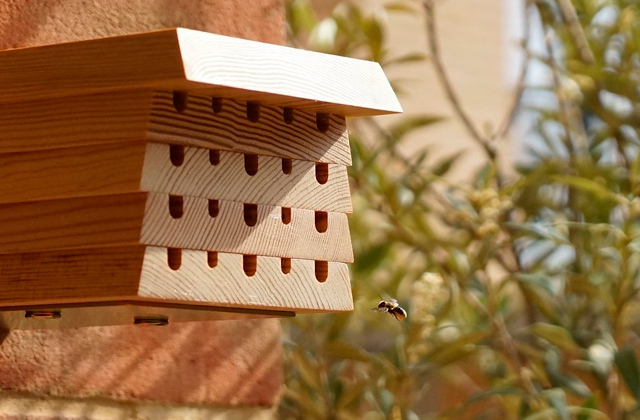 Fancy spending your leisure time unwinding in your garden? 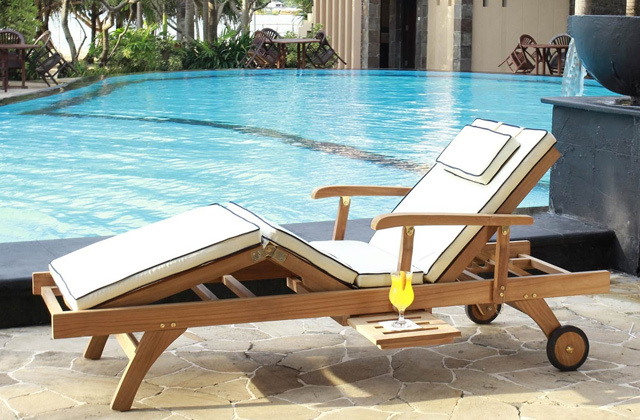 Get yourself a new garden parasol and a sun lounger to make your favourite pastime activity even more relaxing.